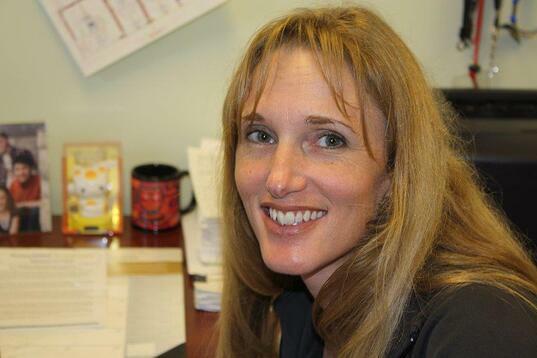 Today we talk with Candy Porter, Director of Sales at Spika Welding & Manufacturing. A: Just over six years. A: I love everything about my job; no two days are alike. My favorite part is interacting with our customers and helping them find solutions to their problems. I enjoy working with them to pick the best Spika product for their application, or helping them throughout the design process. A: Driven, dedicated, and creative. A: I have several: My first $500K sale, my first conceptual design that became a real work stand, and all of the great people I have met while working here, both customers and co-workers. A: Work is my favorite, but I like to shoot pool and garden. A: I like all of them; I believe that Spika equipment is the best on the market. When you decide to work with us, you are going to receive the best product, the best design, and the best support. I am proud of everything we have out there. A: Shop around, and make sure you ask for documented details of the product you are interested in. Be sure to collect information on product features and materials, detailed drawings, engineering information, quality control information, product testing information, and current customer contacts so that when it is time, you can make a sound decision on the piece of equipment you purchase.